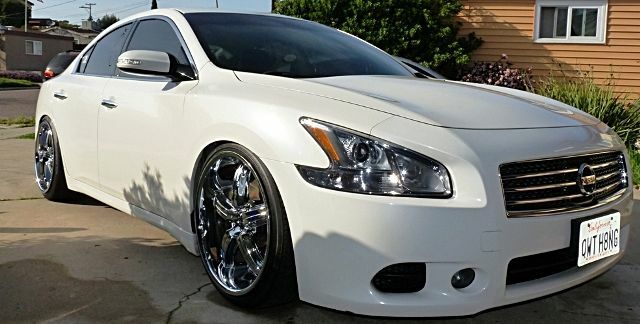 Re: Pearl White Maximas Representttt!!! Doesn't count....you're in the silver club now! I own both, silver and white.. So, I can be in both clubs, BUDDY! Last edited by Maximusberg; 04-28-2011 at 12:28 AM. I should have some new pics by tomorrow night! Helloooo sunset! This profile looks wicked! Love the exhaust. Care to share info on it?? Magnaflow Mufflers, Cattman Y-Pipe, Cattman B-Pipe, Magnaflow Resonator. Round 2 again huh ? Is that all yall got?? Show me. I know there is more than this. Come on!! 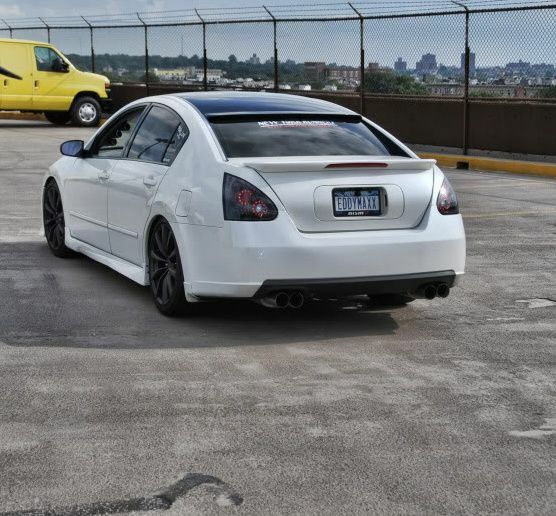 A while back we had a white-max gang v. black maxima family battle going on. WMG lost so they're trying again! I got to back to work. Well sure you did, you added all that black to make your rides better! Well something has to make them look better. You don't see black cars adding white paint, do ya? Last edited by BLKMAGIC; 04-28-2011 at 03:07 PM.